Is Upgrading to iPhone 4S Worth It? Apple just announced the latest iPhone: the iPhone 4S. Those who expected a schmancy new iPhone 5 to be released were disappointed. The iPhone 4S has the same form factor as the iPhone 4. 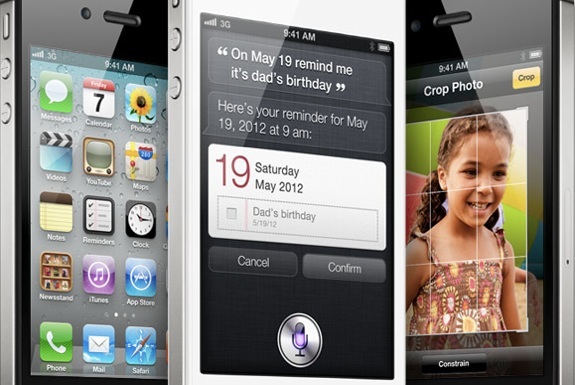 With the exception of the Siri voice functionality (see below), all the software enhancements will be bundled into the new iOS 5 operating system and thus will be available on old iPhones too. Given that, is it worth upgrading to an iPhone 4S? Yes and no . . .
. . . but mostly no. If you have an iPhone 3Gs or earlier, then it is certainly time for a phone upgrade. Feel good about starting a new contract with an iPhone 4S. Or make the switch to an Android smartphone. To Spot Cool Stuff’s thinking, the most exciting upgrades to the iPhone 4S involve photography. The addition to an 8MP camera (vs the 5MP of the iPhone 4) will get most of the headlines. But the number of megapixels is way overrated when it comes to judging camera quality. Much more important than that are the improved optics. 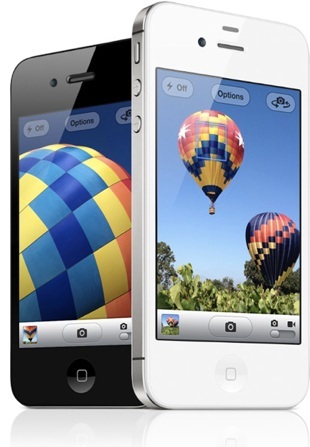 The iPhone 4S sports a new five-element lens and a larger f/2.4 aperture. Plus, there’s a new sensor, which lets in 73% more light than the previous one and offers backside illumination on par with semi-professional dSLR camera. That will hugely improve low-light photo quality. The only smartphone currently on the market with a camera that’s in the same league as the iPhone 4S’s is the Android-based Samsung Galaxy S2. Apple saw how much their iPhone were used for mobile gaming. They responded by adding a faster graphics processor. Gaming graphics on the 4S will render 7 times faster than on the iPhone 4. In fact, everything feels zippier on the iPhone 4S. The difference isn’t that pronounced playing a basic game—Yahtzee, for example. But you will notice a performance difference with more graphic-intensive software, like Angry Birds or Cut The Rope. Good news for iPhone users on America’s Sprint and Verizon networks: Your new iPhone 4S will work as a dual band GSM phone in addition to operating on CDMA. That means you’ll be able to buy a local SIM card and use your phone in the vast majority of world countries that are on GSM. The iPhone 4 and 4S share many more similarities than differences. The smartphones are the same size, same shape, have the same screen and will run the same iOS 5 operating system. What About iPhone 5 and Android Models? The problem with buying any piece of electronics is that there’s always the prospect of a better device on the horizon. If you are dedicated to having an iPhone, we do not suggest making your purchase choice in the hope that an iPhone 5 will be coming out shortly. It seems like it will be several months, if not a year or longer, before a new, substantially upgraded iPhone becomes available. If you are deciding between the iPhone 4S and an Android model, then you would be wise to delay your decision until at least October 11th. That’s when the Google Nexus Prime will be announced, along with a new version of the Android OS dubbed “Ice Cream Sandwich.” The new Nexus Prime will be a bit thinner and perhaps a touch faster than the iPhone 4S, but otherwise will likely have similar specs. 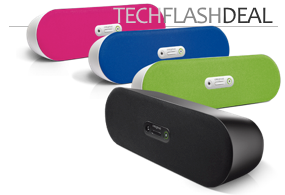 Spot Cool Stuff is also a big fan of the currently-available Samsung Galaxy S2. I’m not very enthusiastic about 4s, but still this is a nice device, with cool features.